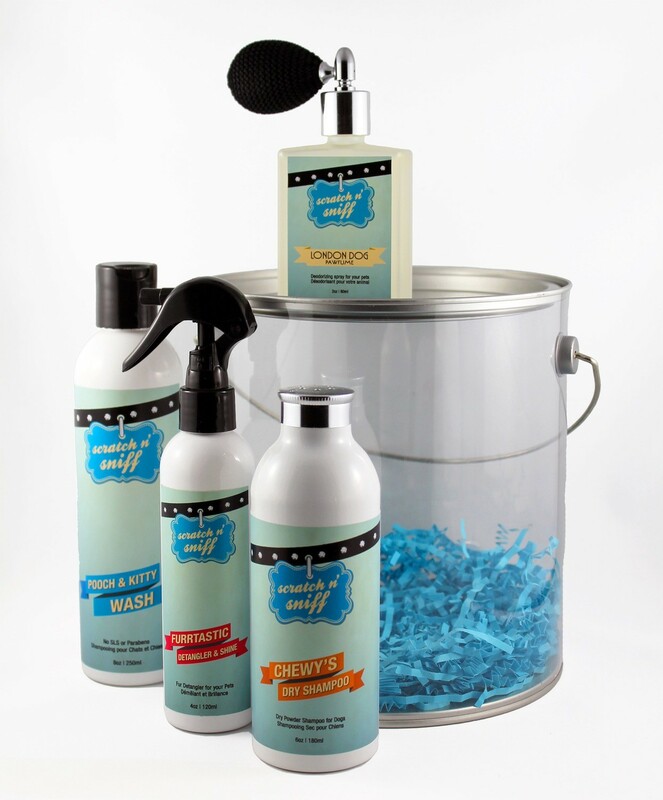 Spoil your pup with this essential grooming pail filled with products to wash, detangle and deodorize. This 100% plant based pawfume neutralizes and eliminates odours on contact. A safe and gentle aromatherapy deodorizing spray THAT will leave your four-legged friend with a glossy coat and a long lasting pleasant scent. Best for applying between baths. Paraben, chemical and alcohol-free! Spray for tangle free, smooth and shiny fur! This 100% plant based formula helps restore the lustre and softness to your pet’s coat. A nourishing leave-in spray that is free from parabens and other harmful chemicals.